A variety of outdoor adventures await visitors in Otaki. 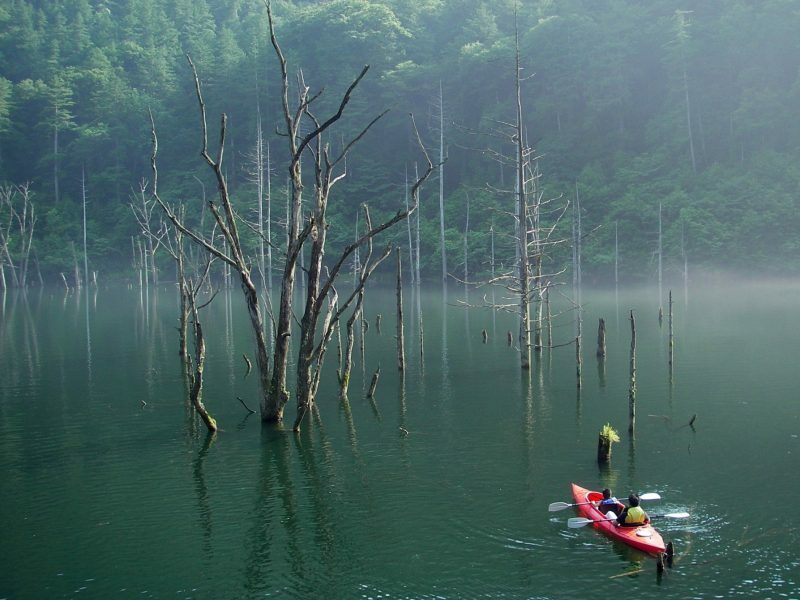 Kayaking Lake Shizenko: This secluded lake was created by the collapse of a part of Mt. Ontake in the 1984 Otaki Earthquake. Many of the trees from the forest that were submerged at the time still rise through the surface, creating an otherworldly atmosphere. 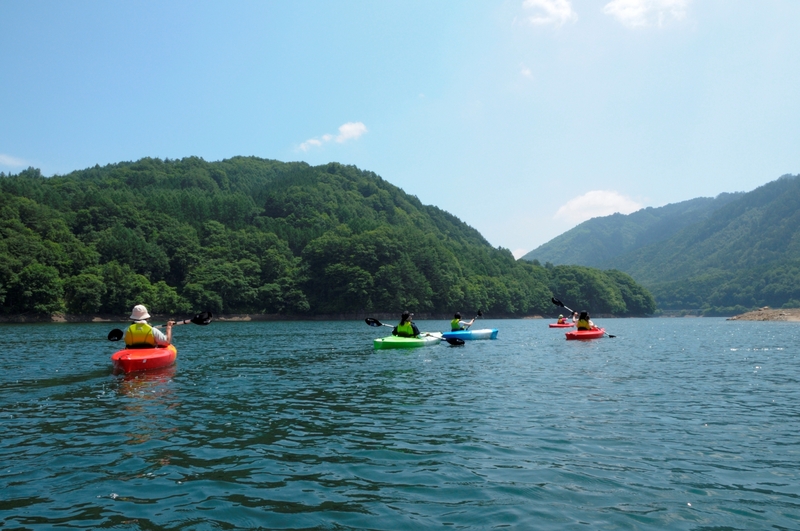 Kayaking Lake Ontake: Kayaking the turquoise waters of Lake Ontake offers spectacular views of Mt. Ontake and the surrounding countryside. The boat launch lies just outside the village. These tours are particularly suited to families. 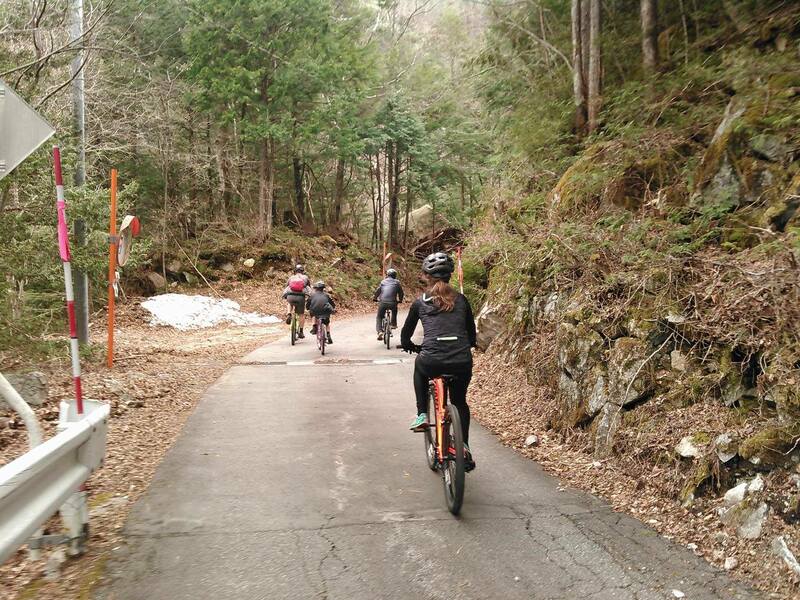 Mountain biking: Few cars and a variety of forest roads make for great cycling. Otaki also hosts several mountain biking races throughout the year. 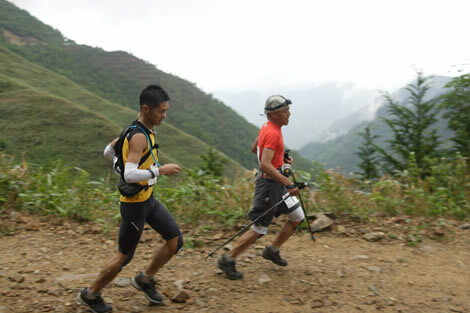 Trail running: Otaki’s forest roads and trails offer a fantastic running environment. The village hosts a number of long distance races every year. 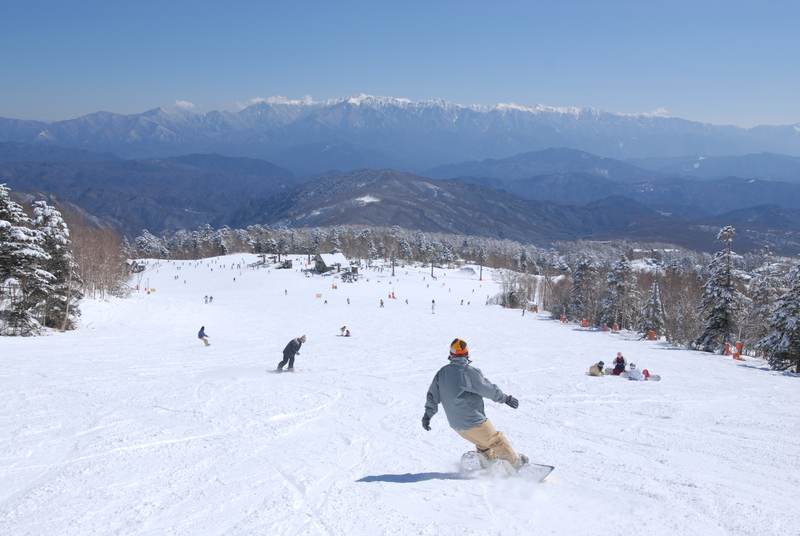 Skiing / Snowboarding: The best skiing and boarding in Southern Nagano is available at the Ontake 2240 ski area, a 20 minute drive up the mountain from the village. 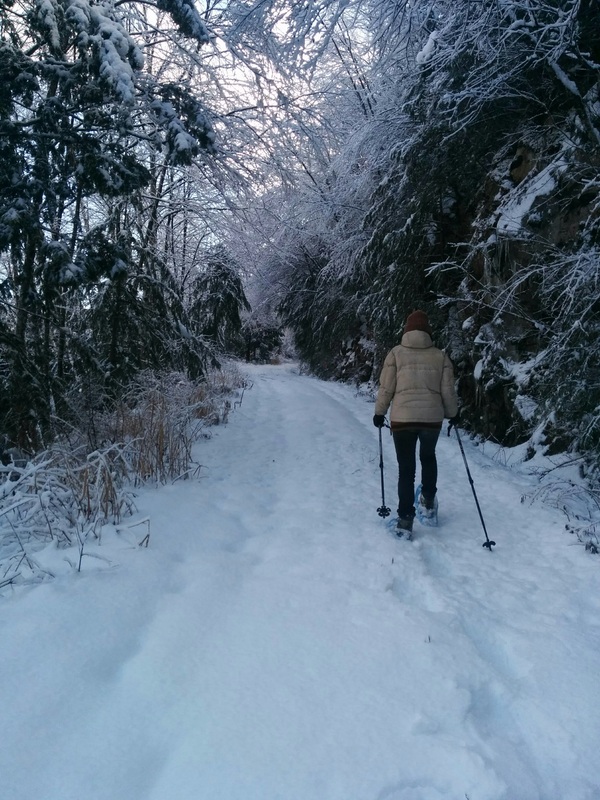 Snowshoeing: Otaki’s many isolated forest roads offer snowshoeing in silence throughout the winter. Mt. Ontake is no ordinary mountain. From ancient times it’s been considered a reihou, a sacred peak, source of spiritual energy, and object of pilgrimage. The landscape is dotted with signs of its cultural and historic importance. 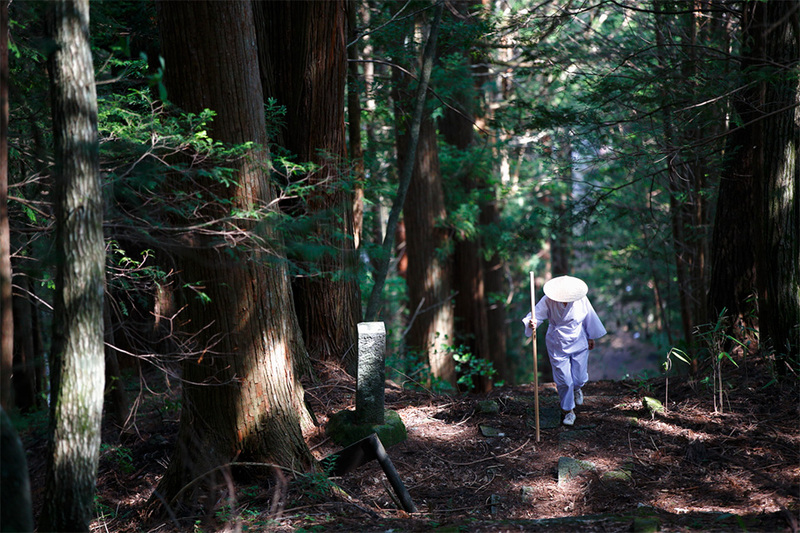 Many pilgrims still make the journey to Otaki’s sacred places today. This holy shrine is located at the foot of Mt. 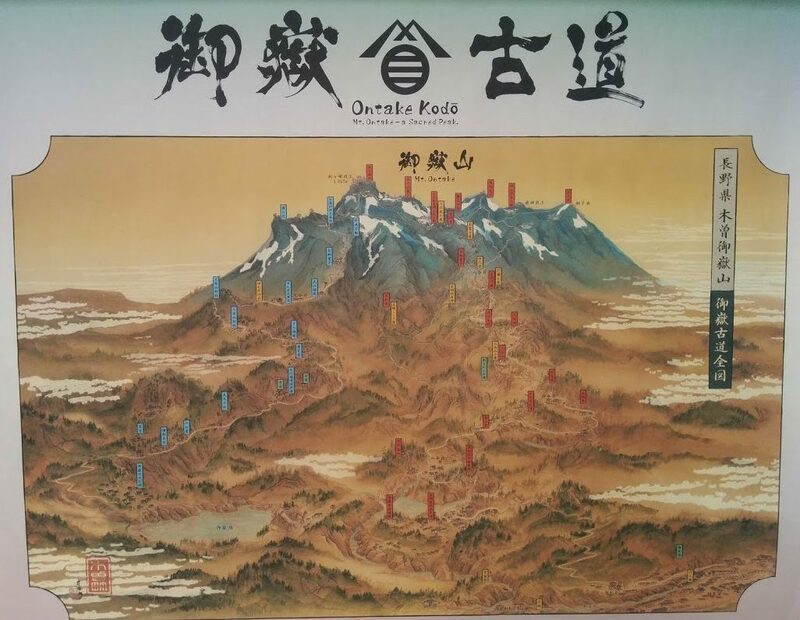 Ontake, where all pilgrims start there journey. Climb the 300 plus steps to the cliff bound compound at the top where the devout come to pray. Bring an empty bottle to fill with the pristine water that springs from the mountainside. 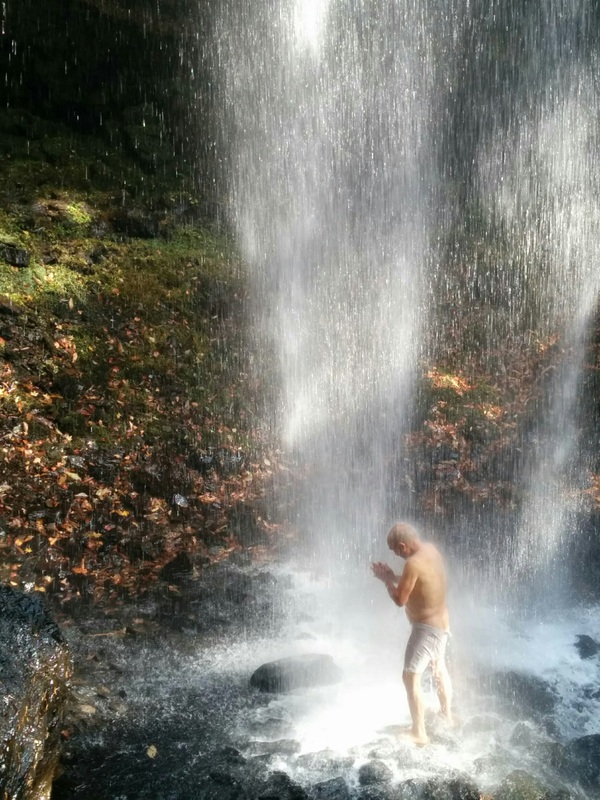 Pilgrims have come to these falls to purify themselves before climbing Mt. Ontake since ancient times. They can still be found standing beneath them performing rituals, their incantations floating through the forest. 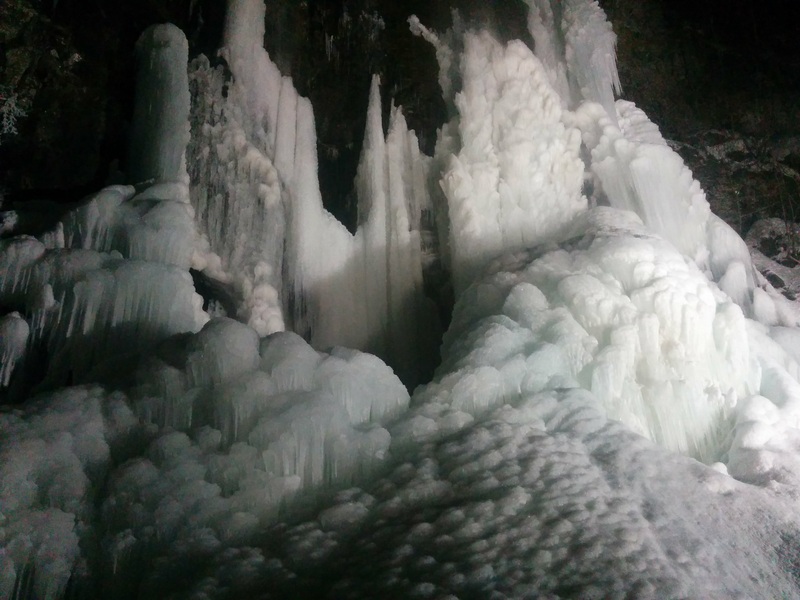 In winter the water slowly freezes into a cascade of ice pillars. 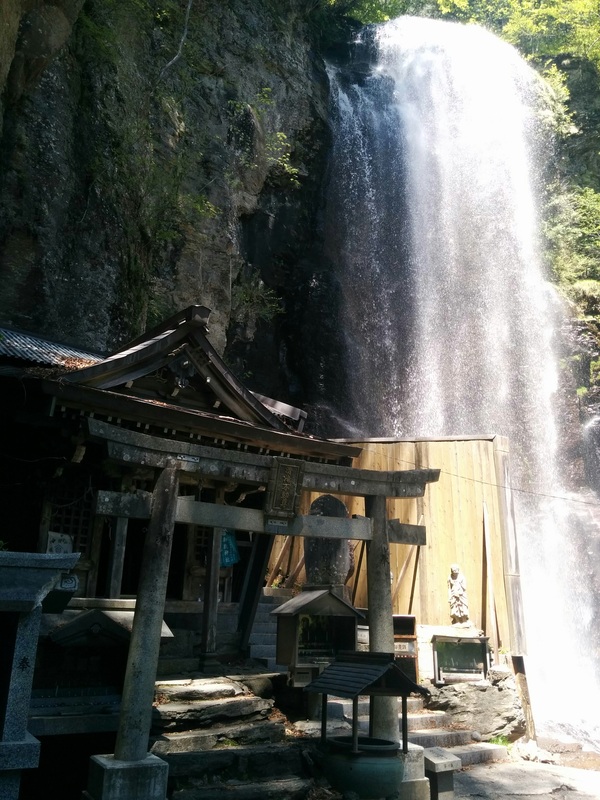 A twenty-minute-walk over part of the old Ontake Pilgrimage Trail connects the falls. Buddhist monk blowing a conch in the cave behind Shintaki Falls. Mountain ascetics often blow conchs on Mt. Ontake as a way of calling on the powers of the mountain. 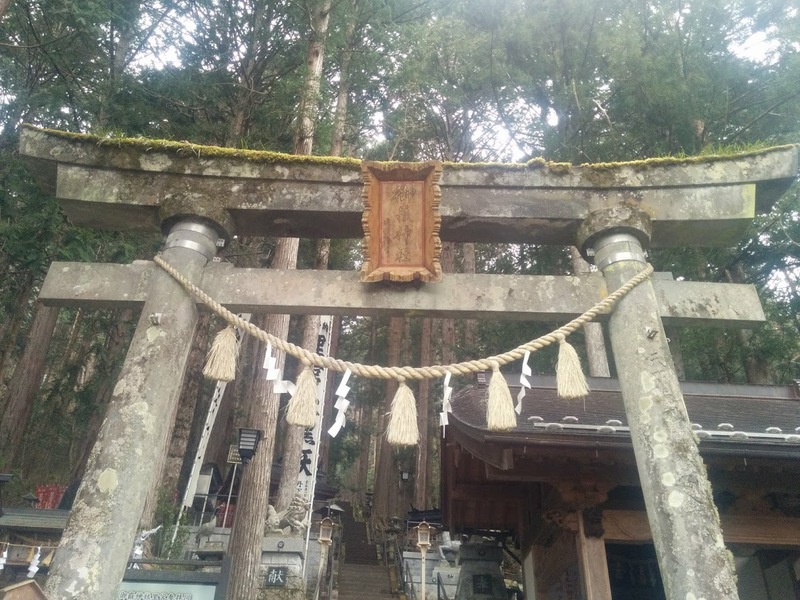 Used by the faithful since at least the middle ages, this hike winds its way up the mountain through quiet forests, passing the sacred waterfalls mentioned above and numerous shrines and holy places along the way. See the map below for important Otaki adventure spots and other essential locations.